Dominic Lawson explains it clearly in the UK Sunday Times, Sept. 27. “Recent events have been a result of Europe’s concerted push to get its populations to abandon petrol for diesel as the fuel to power their cars. 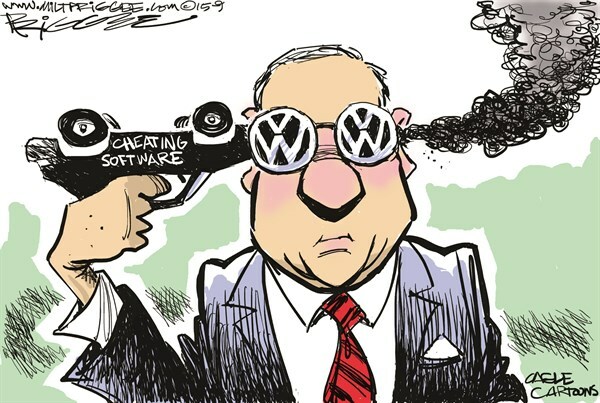 This is the real story behind the astonishing scandal of VW’s fraud upon the US Environmental Protection Agency. VW had installed software in its newer diesel cars that detected when the vehicles were being tested for noxious emissions and cut most of the smog-forming compounds caused by burning diesel. When the cars were driven normally on the road by owners, the software “defeated” the pollution control. This greatly enhanced the vehicles’ performance. And so VW could claim — absolutely dishonestly — that it was selling high-performing diesel cars while conforming to stringent American “clean air” requirements. Yes: America, frequently accused by Europeans of being a laggard in environmental protection, has stricter regulations governing air pollution than the eternally preachy EU. This is because of — and not despite — Europe’s obsession with climate change. The UK government, after its signing of the Kyoto treaty, set up an incentive through vehicle excise duty to push consumers into buying diesel rather than petrol cars. The point is that diesel produces more oomph per gallon than petrol, so less of it is used for each mile’s driving and hence less CO2 is emitted in the course of any given journey. However, it has always been known that burning diesel creates much more of the oxides of nitrogen that can cause terrible damage to the human respiratory system: more than 20 times as much of the stuff as burning petrol does. Because in America engine emission controls are related much more to overall air quality than in the EU, VW had a real problem getting its diesel cars into that market. Hence its scam. The “rush for diesel” might seem an unmatchably counterproductive idiocy on the part of the EU member states, as they sought to prove themselves the saviours of the earth. In fact, it is merely one of a number of catastrophic components in the climate-change policy makers’ hall of infamy. Update October 14, 2014 at the end of the post. The value for 2015 is for the record so far; the final number will be known at year end. As for minimum extents, 2015 September average will likely be the fifth lowest in the last ten years, so ranked in the middle of the years in this period. For it to be the fourth lowest ever would require ignoring earlier history, especially the 1930’s and the age of the Vikings. Now let’s put this year’s minimum in perspective. 2014 daily ice extent minimum was ~5M km2 on day 262. 2015 extent went below 5M on day 240 and has now regained back to 5M on day 268. So the reduced ice extent this year lasted for exactly 28 days. Why is this fact not mentioned in articles talking about the 4th lowest extent recorded? How can a 28-day event (produced by a major storm) be called “climate change” when it is so temporary and natural? Update September 26: 2015 ice extent goes over 5M km2. The daily ice extent minimums are behind us, and now the story is how fast is this year’s recovery of ice compared to last year. In the MASIE estimates, the daily minimums were quite close in time: 2014 day 262 and 2015 day 260. NOAA showed 2015 minimum extent on day 251 with gains sufficient for NOAA to nearly synchronize with MASIE extent by day 262. From last year’s MASIE records we know that ice recovered in 2014 at a rate of 41k km2 per day to the end of September, for a total addition of ice extent of 451k km2. NOAA showed a comparable gain in 2014 ice over the same period: 39k daily for a total gain of 429k km2. As of day 268, Sept. 25, ice extent is recovering much faster this year than last, about twice the rate, and MASIE is again showing higher extent than NOAA. September 25 day 268 results from MASIE. 2015 is back over 5M km2. Both years gain back considerable ice. While 2014 gained 105k of ice, 2015 gained 64k recovering back up to 34% of the spring maximum..
2015 ice extent now trails 2014 by 6.4%, which is about 344k km2 difference. Extent in BCE region is building ice now at 75% of last year, with Chukchi and East Siberian seas adding 47k. Most seas increased ice and most importantly, the Central Arctic is now 193k above its minimum 24 days ago. The graph shows that a gap opened when 2015 ice dropped at the time of an Arctic cyclone late August. The differential of almost 1M km2 has now been cut to 350k km2. and closing. 2015 ice extent was lower than 5M km2 for only 27 days. The first 25 days of September 2015 are in the books, so with 5 days to go this is an outlook on the melt season conclusion beyond the daily minimums. For most of the season, 2015 Arctic sea ice extent was tracking 2014. In fact the July average extent was slightly higher than 2014. Then weather intervened in the last week of August. A large and strong cyclone centered over Chukchi Sea began breaking up ice in the BCE Region and affecting CAA (Canadian Archipelago) and the Central Arctic. In addition, most of the summer the Arctic Oscillation (AO) was in negative phase, meaning fewer clouds, more direct insolation and ice melting. More discussion of these two factors is at the end of this post. The effects of this storm are seen in the rapid increase in water extent ( 482k km2 in one week) so that August 31 2015 had less ice than did 2014 at minimum September 19. Water extent continued to grow, and then stabilized once the storm abated and the AO went from negative to neutral. Now the ice is growing beyond the daily minimum. Comparing MASIE and NOAA Ice Extents. The table shows July 2015 was above 2014 but late August weather caused a drop in monthly averages. The August average shows ice extent dropped ~2.7M km2 from July, compared to a 2014 loss of ~2.0M. That difference persisted until the minimum was reached. NOAA typically reports a lower extent than MASIE, a difference that averaged ~300k km2. Then in one week MASIE dropped while NOAA plateaued, and until recently NOAA September extents were quite close to MASIE, some days showing a higher number. With the September daily ice starting out lower than 2014 the monthly average will end up smaller. The September first 25 days average is shown, a figure that should rise and end the month over 4.6M km2. It is now evident the minimum has occurred, and the recovery is under way. In any case, I am not alarmed over open water in the Arctic. Steadily increasing and above average September ice extents signify the coming of the next ice age, a genuine threat to human life and prosperity. Fortunately, that is not the indication this year. In addition to the storm, the negative AO has been conducive to accelerating ice melting by increased insolation. The AO, which has remained almost consistently in negative territory since late June, has resulted in near record low AO values for July and August. The AO is predicted to first trend positive through the weekend and pop into positive territory early next week. However by midweek the AO is predicted to return back into negative territory and remain negative through early October. This storm is reminiscent of the 2012 event that resulted in the lowest ice, greatest water extent this century. The high winds, waves and swells have several effects: Gales push ice floes, opening water between them and pushing them toward warmer waters; Ice pieces are churned and fractured increasing the melt rate; Wave action can flood ice packs or can cause compacting, further reducing extent. Rational people charged with making national energy policies need an antidote to the biased and alarmist IPCC “Summary for Policy Makers (SPM)” As most are aware, that document purports to be summarizing the science proving humanity is causing dangerous global warming by using fossil fuels. 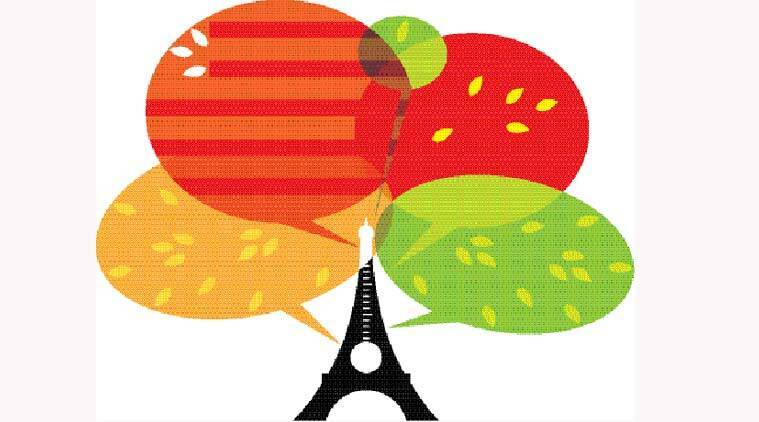 Those who understand the IPCC process are also aware that the SPM wording is negotiated among politicians and the scientific reports are adjusted accordingly. Ruth Dixon has also assessed the flaws in the alarmist position which Stern is expressing. Bjorn Lomborg is someone I have long respected because he cares a lot about world problems and works hard on programs and projects to actually improve people’s lives. He has an insider’s take on preparations for the UN Summit on Sustainable Development, and it is not pretty. From his point of view, national leaders can do a lot to make the world a better place, but that is looking less and less likely. The problem is not ill will or selfishness. It is the enormous overreach of activists’ ambitions. “With the so-called Agenda for Sustainable Development having been quietly finalized by diplomats and United Nations bureaucrats last month, the leaders are expected just to smile for the cameras and sign on the dotted line. Unfortunately, they are missing a one-in-a-generation opportunity to do much more good. “It is not that the new promises are not well-intentioned. The problem is that they do not reflect effective prioritization, which is critical when resources are limited. In short, many of the targets are either marginally useful or highly problematic. Making matters worse, collecting data on the 169 promises could cost almost two years of development aid. As a result, the agenda will leave the world’s poorest far worse off than they could be. At Lomborg’s think tank, the Copenhagen Consensus Center, a panel of Nobel laureates studied more than 1,800 pages of peer-reviewed analysis, in order to determine which potential targets would achieve the most good – something that the UN never did. Channeling the entire development budget to the 19 targets that the panel identified would do four times more good than if we spread it across the UN’s 169 targets, with a large share of those benefits going to the world’s worst-off people. Bjørn Lomborg, an adjunct professor at the Copenhagen Business School, founded and directs the Copenhagen Consensus Center, which seeks to study environmental problems and solutions using the best available analytical methods. He is the author of The Skeptical Environmentalist and Cool It, and the editor of How Much have Global Problems Cost the World? Alan R. Longhurst is a biological oceanographer who has studied the ecology of the continental shelf of the Gulf of Guinea (1954-63), and the trophic structure and flux of energy through the pelagic ecosystems of the eastern Pacific (1963-71), the Barents Sea (1973), the Canadian Arctic (1983-89) and the Northwest Atlantic (1978-94). He coordinated the international EASTROPAC expeditions in the 1960s and directed the NOAA SW Science Center on the Scripps campus at La Jolla (1967-71), the Marine Ecology Laboratory at the Bedford Institute of Oceanography (1977-79) and was Director-General of that Institute (1970-86). He has published 80-odd research papers and his most recent books are “Ecological Geography of the Sea” (Elsevier, 1998 & 2007) and “Mismanagement of Marine Fisheries” (Cambridge, 2010). I recommend this climate science book as readable, thorough, considerate, and well-documented. He also gives insightful personal experiences from his oceanographic career. I particularly appreciate his emphasis on the ocean’s complex role in climate dynamics. Also his discussion of surface temperature measurements has echos in my own analyses of the records. Perhaps the one thing that would shake the collective certainty would be if the simple, single value used to represent global surface temperature continued to languish at around the same value as it has for the last 15 years for, say, another 5 years? Of course, it may not – simply because the next Nino will quickly reduce the area of cold, upwelled water exposed at the sea surface and global SST will suddenly rise, as it did in 1998. In fact, as I write, this is occurring and the anticipated announcement has already been made NOAA that this year we experienced the warmest July ever recorded. In the annual match of the ocean vs. Arctic ice, Mother Nature has blown the whistle. Results are little confusing, since NOAA shows the lowest extent 11 days ago, and MASIE only 2 days ago. Moreover, MASIE dropped a lot of ice in the recent period and is now showing less ice than NOAA. Usually, MASIE is higher by 2-300k km2. Still, for the climate record it will be the September average that counts, and the platform is firmed up for that result. September 19 day 262 results from MASIE. 2014 loses a lot while 2015 gains a lot of ice extent. While 2014 lost 46k of ice, 2015 gained 70k recovering well above the previous annual daily ice minimum..
2015 ice extent now trails 2014 by 10.6%, which is about 538k km2 difference. Day 262 is the 2014 daily ice extent minimum. Day 260 was 2015 minimum, according to MASIE. Region Ann Min Ann Min km2 Diff. The table shows the effects of weather in the western Arctic. In August 2015 lost 700k km2 more than 2014, a differential that persisted to the minimum. The reductions occurred in the BCE region and in the near by CAA (Canadian Archipelago). In addition in the east, Barents melted out early and entirely, and nearby Kara become mostly open water. Elsewhere, on the Canadian side, Hudson and Baffin Bay along with the Greenland Sea had more ice, and the Central Arctic was nearly the same as in 2014. The first 19 days of September 2015 is in the books, so here is an outlook on the melt season conclusion beyond the daily minimums. The table shows July 2015 was above 2014 but late August weather caused a drop in monthly averages. The August average is now complete and shows ice extent dropped ~2.7M km2 from July, compared to a 2014 loss of ~2.0M. That difference has persisted up to today. NOAA typically reports a lower extent than MASIE, a difference that averaged ~300k km2. Then in one week MASIE dropped while NOAA plateaued, and now NOAA September extents are quite close to MASIE, some days showing a higher number. With the September daily ice starting out lower than 2014 the monthly average should end up much smaller. The September first 19 days average is shown, a figure that should rise and end the month near 4.6M km2. This presumes the minimum has definitely occurred, and the recovery is in effect. Wikipedia defines a racket as: A racket is a service that is fraudulently offered to solve a problem, such as for a problem that does not actually exist, that will not be put into effect, or that would not otherwise exist if the racket did not exist. Conducting a racket is racketeering. Particularly, the potential problem may be caused by the same party that offers to solve it, although that fact may be concealed, with the specific intent to engender continual patronage for this party. Clearly the academics (many of whom are not physical scientists) missed their target. The IPCC fits perfectly the definition of a racket and could be pursued under RICO. Though I don’t think the courts are qualified to settle this or any science. The Climates, They are A-changing. And as we have been monitoring, the Arctic ice has been melting from sunlight in recent months, but will now begin to build again in the darkness to its maximum in March. We can also expect in January and February for another migration of millions of Canadians (nicknamed “snowbirds”) to fly south in search of a summer-like climate to renew their memories and hopes. As was said to me by one man in Saskatchewan (part of the Canadian wheat breadbasket region): “Around here we have Triple-A farmers: April to August, and then Arizona.” Here’s what he was talking about: Quartzsite Arizona annually hosts 1.5M visitors, mostly between November and March. Of course, this is just North America. Similar migrations occur in Europe, and in the Southern Hemisphere, the climates are changing in the opposite direction, Springtime currently. Since it is so obviously the sun causing this seasonal change, the question arises: Does the sunlight vary on longer than annual timescales? And therein lies a great, enduring controversy between those (like the IPCC) who dismiss the sun as a driver of multi-Decadal climate change, and those who see a connection between solar cycles and Earth’s climate history. One side can be accused of ignoring the sun because of a prior commitment to CO2 as the climate “control knob”. The other side is repeatedly denounced as “cyclomaniacs” in search of curve-fitting patterns to prove one or another thesis. 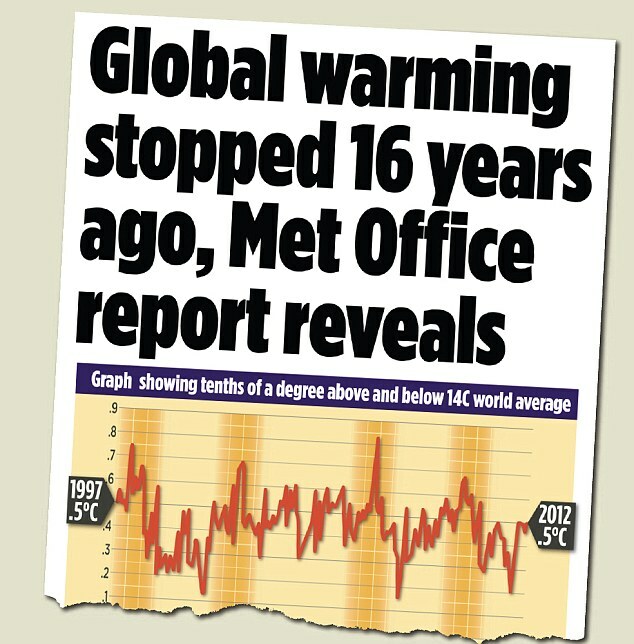 It is also argued that a claim of 60-year cycles can not be validated with only 150 years or so of reliable data. That point has weight, but it is usually made by those on the CO2 bandwagon despite temperature and CO2 trends correlating for only 2 decades during the last century. He has concluded that “at least 60% of the warming of the Earth observed since 1970 appears to be induced by natural cycles which are present in the solar system.” For the near future he predicts a stabilization of global temperature until about 2016 and cooling until 2030-2040. I have found this presentation by Ian Wilson to be persuasive while honestly considering all of the complexities involved. The author raises the question: What if there is a third factor that not only drives the variations in solar activity that we see on the Sun but also drives the changes that we see in climate here on the Earth? The linked article is quite readable by a general audience, and comes to a similar conclusion as Scaffeta above: There is a connection, but it is not simple cause and effect. And yes, length of day (LOD) is a factor beyond the annual cycle. It is fair to say that we are still at the theorizing stage of understanding a solar connection to earth’s climate. And at this stage, investigators look for correlations in the data and propose theories (explanations) for what mechanisms are at work. Interestingly, despite the lack of interest from the IPCC, solar and climate variability is a very active research field these days. Once again, it appears that the world is more complicated than a simple cause and effect model suggests. For everything there is a season, a time for every purpose under heaven. Fine writing, Ron, well done! No doubt the sun is the by far the most important factor for not living on a globe with temperatures down to minus 200°C. That makes me hesitating to comment on „solar and climate variability” or “the sun drives climate” (currently at NTZ – link above), but today merely requesting humbly that the claimed correlation should be based at least on some evidence showing that the sun has ever caused a significant climatic shift during the last one million years, which was not only a bit air temperature variability due to solar cycles that necessarily occur in correlation with the intake and release of solar-radiation by the oceans and seas. From p. 13: “It is well established that trace gases such as carbon dioxide warm our planet through the “greenhouse effect”. These gases are relatively transparent to incoming sunlight, but trap some of the longer-wavelength radiation emitted by the Earth. However, other factors, both natural and man-made, can also change global temperatures. For example, a cooling could be caused by a downturn of the amount of energy received from the sun, or an increase in the sunlight reflected back to space by aerosol particles in the atmosphere. Aerosols increase temporarily after volcanic eruptions, but are also generated by pollution such as sulphur dioxide from factories. Thanks Arnd for engaging in this topic. My view is that the ocean makes the climate by means of its huge storage of solar energy, and the fluctuations, oscillations in the processes of distributing that energy globally and to the poles. In addition, the ocean is the most affected by any variation in the incoming solar energy, both by the sun outputting more or less, and also by clouds and aerosols blocking incoming radiation more or less (albedo or brightness variability). The oscillations you mention, including the present El Nino (and Blob) phenomenon, show natural oceanic variability over years and decades. Other ocean cycles occur over multi-decadal and centennial scales, and are still being analyzed. At the other end of the scale, I am persuaded that the earth switches between the “hot house” and the “ice house” mainly due to orbital cycles, which are an astronomical phenomenon. These are strong enough to overwhelm the moderating effect of the ocean thermal flywheel. The debate centers on the extent to which solar activity has contributed to climate change over the last 3000 years of our current interglacial period, including current solar cycles.